A picnic in a box, including the ants 😉 This gift box is packed full of taste and fun! Just pick up a bottle of wine and loaf of bread, you’ll have a picnic to remember! Deep Fried Salted Peanuts (8 oz) – eat the crispy shell and all! An Ant Sucker – to complete the picnic have a lick of some eatable ants in a sucker! Imagine you are deep in the swamp, surrounded by creatures looking at you as their next meal… BUT you eat them first 🙂 Our Swamp Snack gift box contains unique mix of swamp creatures! * Indicate your preference in “notes” when you check out and we will do our best to send your first choice. Are you craving something less traditional but not too wild? Try our Wild Game Jerky Sampler. It’s a collection of our 4 best selling exotic game: Alligator, Buffalo, Elk, and Venison. 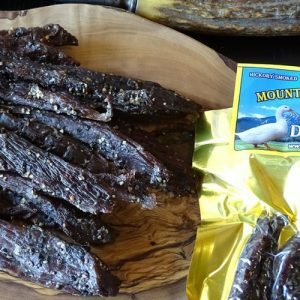 All are the original hickory smoked flavor and venison is seasoned with coarse ground black pepper. 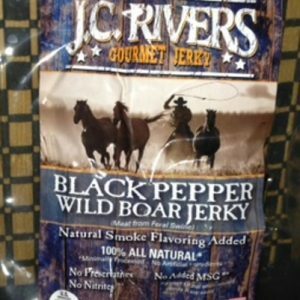 JC Rivers Wild Boar Jerky is a truly wild product, wild boar is free roaming and eats a natural, wild diet of foraged nuts, legumes and other forest foods. This gives it a sweet and nutty flavor, a deeper color, leaner texture, tighter grain, and bolder taste than domestic pork. Flavor – Wild boar meat has a sweet, nutty taste and is leaner that pork due to its wild diet of acorns, roots and vegetation. Seasoned with black pepper. 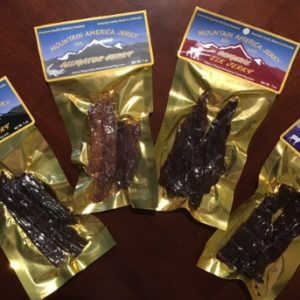 Mt America Alligator Jerky is a gourmet jerky, handmade in small batches every day, this jerky is always fresh! 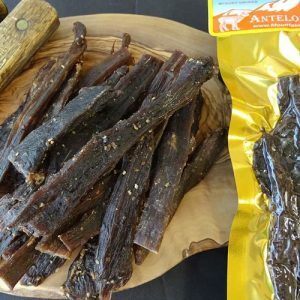 Flavor – a hickory smoked jerky seasoned with salt and black pepper. 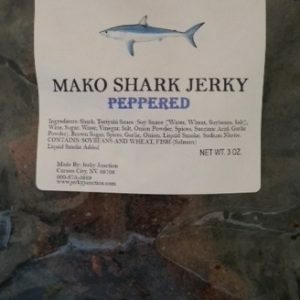 Similar to the mild flavor of chicken with a bit of fishiness. Mt America Alpaca is a lean and flavorful meat and is a staple food in the Andes Mountains of South America. 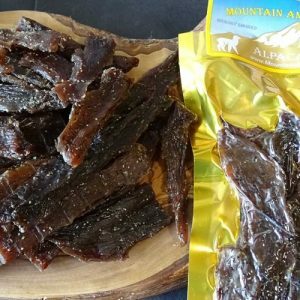 Mt America Antelope jerky is a lean, tender and flavorful meat. High protein and low fat and cholesterol. Mt America Bison Jerky is made from American Buffalo (or Bison) raised with no growth hormones or steroids. A thicker yet chewy cut of buffalo jerky is high in protein, leaner than chicken breast, low cholesterol, low fat, and delicious! It is beefy, not gamey, free range, and is not fed animal by-products, hormones or antibiotics. Gluten Free. 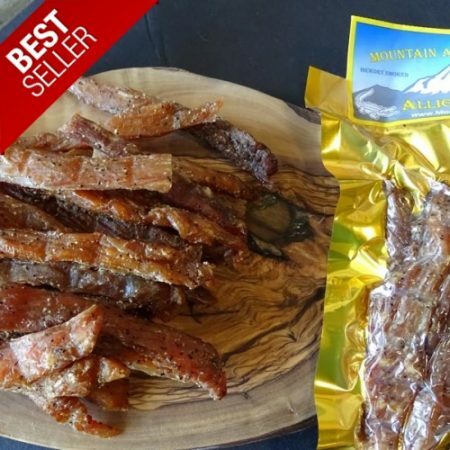 Mt America Duck Jerky is a gourmet jerky, handmade in small batches every day, this jerky is always fresh! Raised without the use of steroids, antibiotics or growth hormones. Flavor – a hickory smoked jerky duck breast seasoned with teriyaki and black pepper.